Don´t forget to spread the butter before grilling it! And here we are! 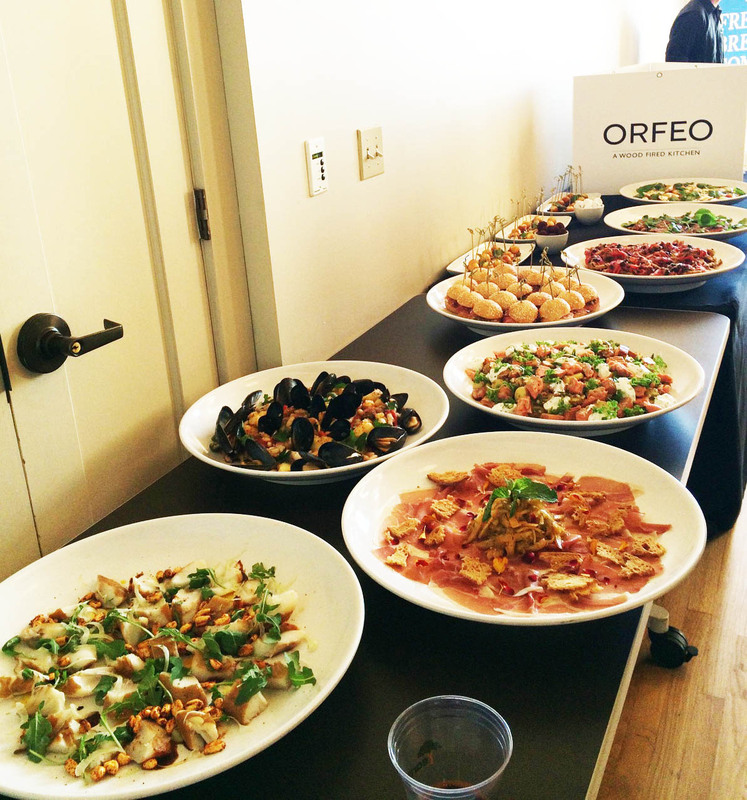 Facing again a big food and wine event! The difference is that Taste Washington is not big is totally massive! So massive that is the biggest of his kind in the US. 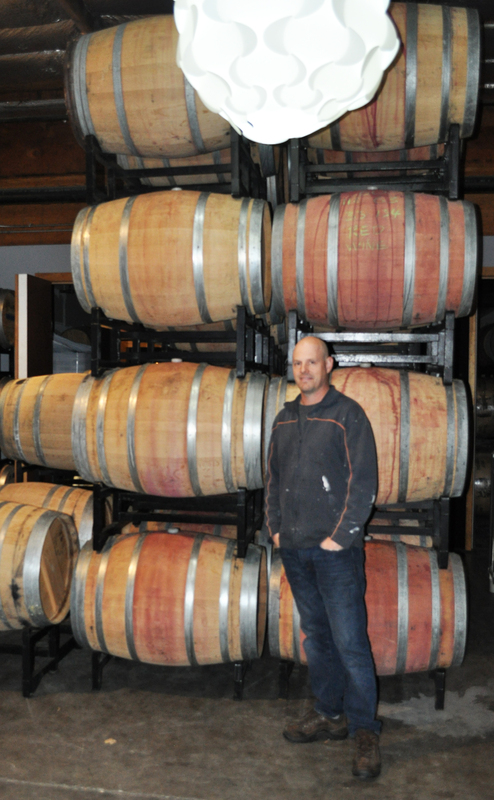 225 wineries, 65 restaurants. 700 wines, 5,000 glasses, 200,000 wine pours. 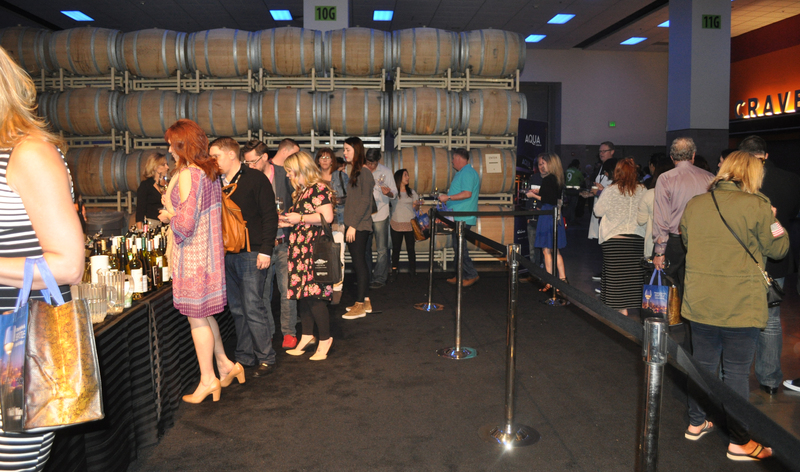 And these are only the estimated facts of the Grand Tasting weekend. Much more happened last week because this event who began humble but steady 19 years ago reinvents itself every year. 2016 edition novelties were 2 fun evening parties: Red & White Party and The New Vintage and 3 lunch excursions really rooted in the sustainable farm to table movement that is shaking the State and pretty much the way we are beginning to approach food in the whole country. 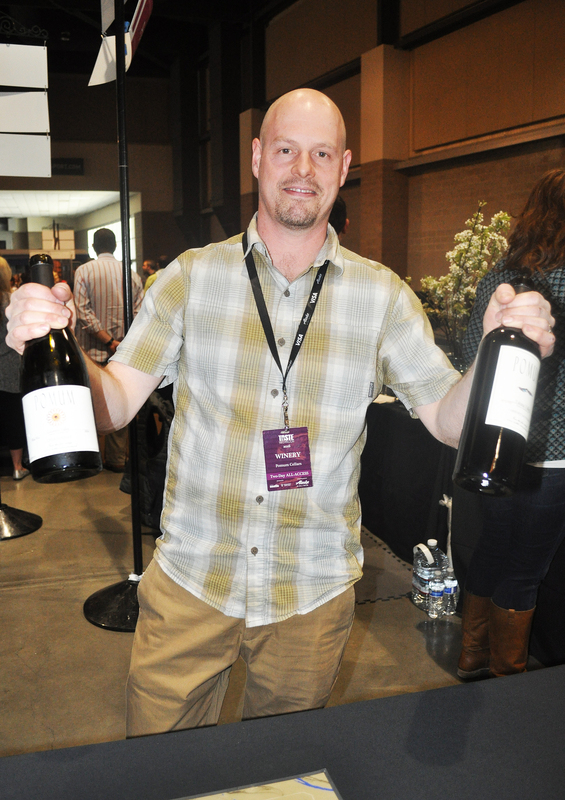 Schedule issues only allowed me to attend Saturday´s Grand Tasting for the first time ever. This means a fresh new approach but some amateur mistakes driven by me and my impossible goal to envision the real size of the event. Because who is able to taste 700 wines without ending emotionally, intellectually and physically intoxicated? It´s simply impossible to do it although a fun winemaker from Walla Walla told me: “Some people try… and fail” giving me a metaphorical wink. “I prefer focusing on trying all the food”. So you should have checked the impressive list in advance but you didn´t and you don´t have so much time now. And every booth is a magnet calling your attention… And then, between bite and bite You see Pomum Cellars! No problem in admitting that I find pretty awesome the idea of making Washington wines with Spanish varietals. I visited the winery last year and the wines didn’t disappoint me at all so first wine tasting of the day. I was lucky enough to meet the owner and winemaker, Javier Alfonso, who came to WA to get his degree in Engineering and never went back. But he hasn´t forgotten his love for Ribera del Duero one of my favorite wine areas in Spain where the climate and terrain is pretty similar to Eastern Washington with cold winters, dry summers and a huge difference in temperature from day to night which gives this bold balance between sugar and acidity to the wine. Really good red wines at this winery particularly the Tempranillo, made with our unofficial official grapes. And don´t forget Idilico Albariño to pair with oysters and crab. April Redout from the relatively new Walter Clore Wine & Culinary Center in Prosser was so nice to give another clue about some new interesting things happening. She invited me to visit this center in Prosser (bucket list) and pointed me towards Intrinsic Wine Co. a new adventure from Saint Michelle wine group leaded by Juan Muñoz-Oca his head winemaker. Not easy to talk with this expert, one of the real celebrities of the day but he was so nice to take a few minutes to explain why this wine is so different: “the grapes remain on the skins for 9 months and 10% of the wine is fermented in a concrete tank”. 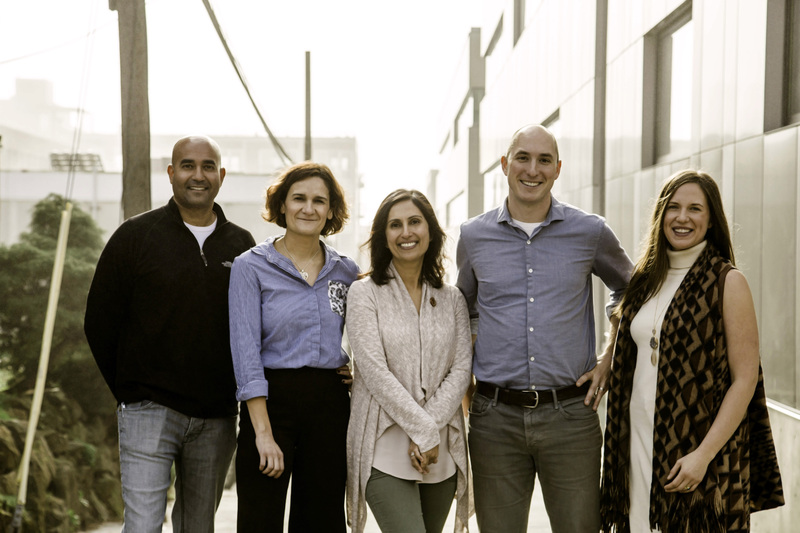 It´s to interesting and innovative that in a back to the farmland era as previously cited Muñoz-Oca has taken a complete different direction creating an urban modern wine. 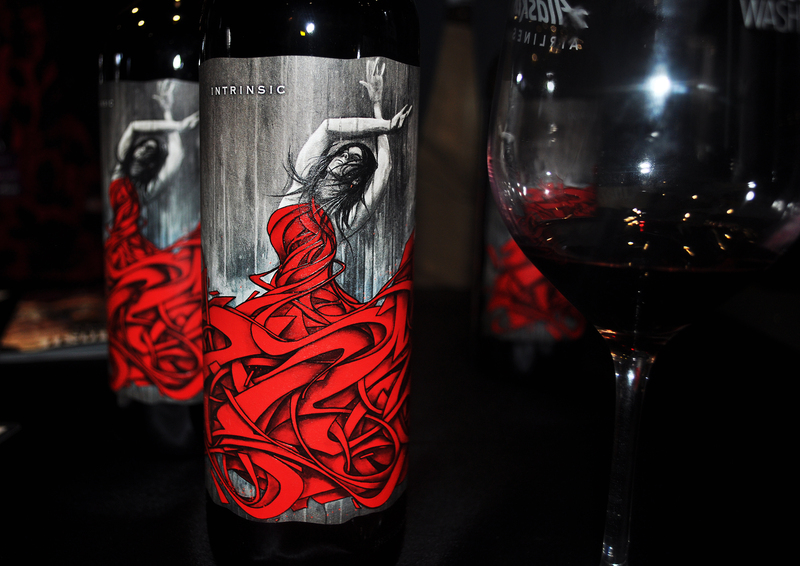 Even the amazing bottle design “Fun, it looks like a flamenco dancer” I thought, it was created from graffiti art. Another really interesting wine really rich, I usually find Cabernet a bit plain and soft, for my list perfect to impress guests and hosts. Really fun the marketing campaign of Red Mountain AVA alliance with pins reading “Ask me why Red Mountain is so special” and other pins with the answers scattered through the association wineries. Sometimes you don´t need a lot of budget to make an impact. Because when you are competing with other 224 wineries you have to use to imagination to stand out. 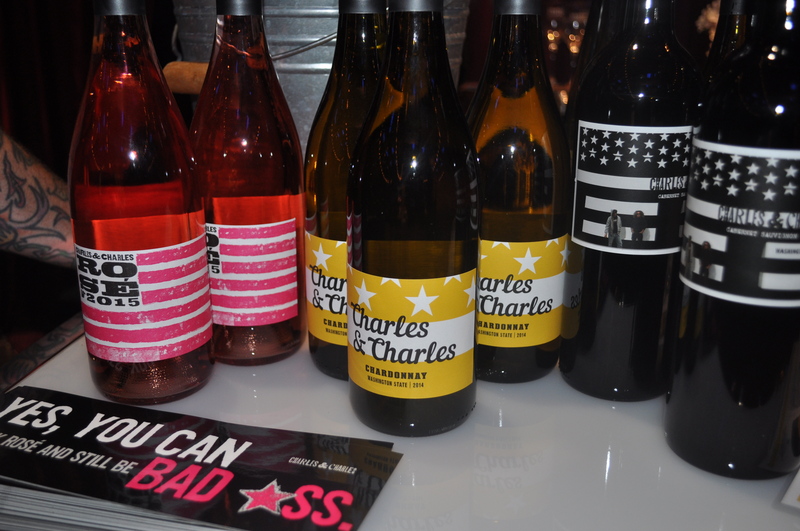 Charles & Charles winery only needed to be the only ones… as far as I know to serve rosé wine. It´s fun this trendy trend of you not being a wine connoisseur because you drink rosé. I love rosé because it reminds me two things: summer and paella. You can find an occasion for every kind of wine. Other interesting classics with no failure rate… Betz Winery, Gorman Winery and again Alexandria Nicole Jet Black Syrah 2014. 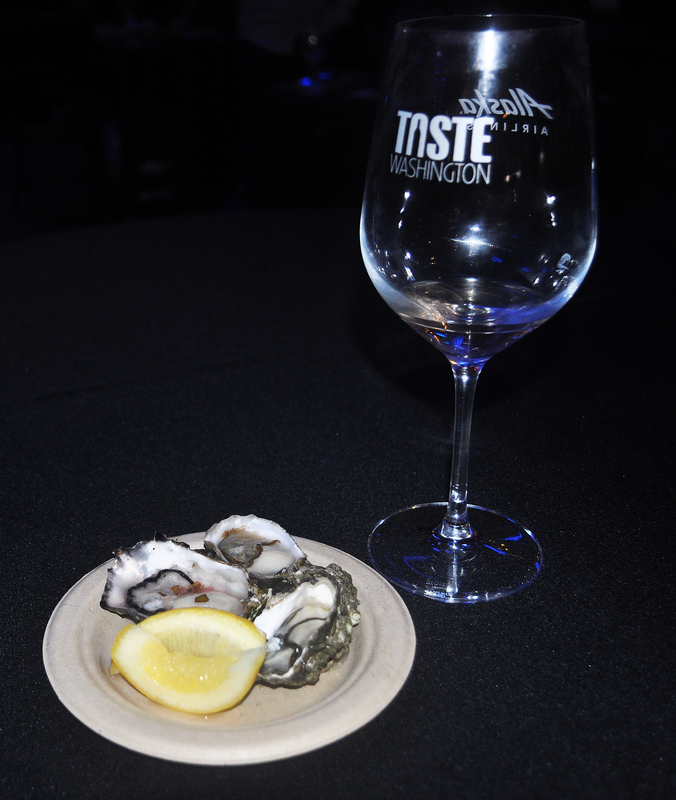 (link Seattle wine and food experience). 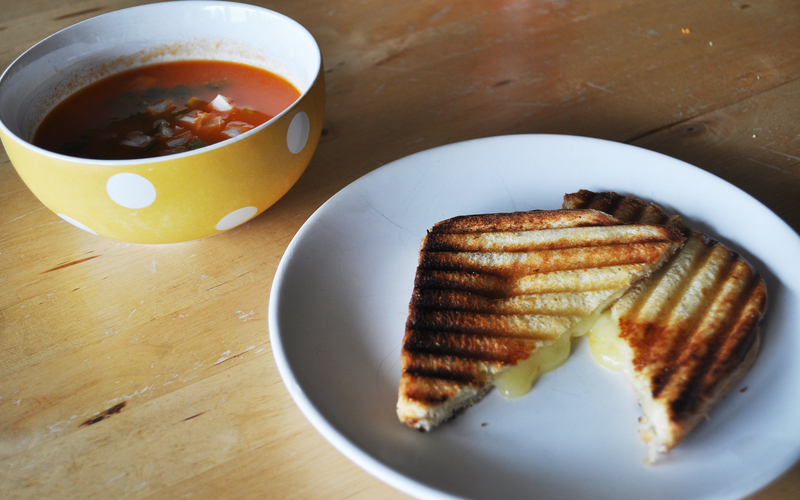 Let´s talk about food now. Nope I didn´t hit the 65 restaurants either but I tried to be pretty eclectic as I had to give my cork-vote to my favorite one. It looks like I missed the favorite, the Swiftwater Kobe short rib… Maybe because I am more into the seafood/fish world. Anyway I always will have room for torchon and foie, really good. Good to know there is a reliable French style place so close to home in Kirkland Le Grand Bistro Americain. The nice people from another Capitol Hill classic, Gnocchi Bar, showed me how to cook them to perfection. And even better to know that there are some guys curing ham Spaniard style in Leavenworth. Yes, they call themselves Cured. Leavenworth is the perfect place for that, cold and drier in winter. I bet they wouldn´t be so successful in the Puget Sound area. Really good products, a touch salty for my palate, but they point an extra good reason to visit the Bavarian village soon. Of course I had to follow the legendary line to get some Aqua oysters. Simply amazing. In fact, I was about to give them my vote, nothing is more perfect than oysters with squeezed lemon to me. 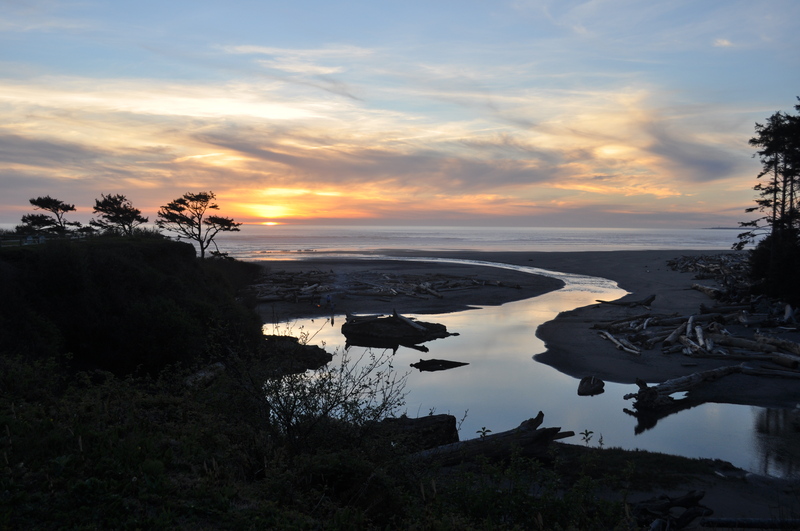 But I wanted to reward some creativity too so I finally picked Kalaloch lodge´s chef, Ashley Miller, salmon mousse. OK, salmon mousse is not so innovative but the truth is that I love simple beautiful, classic flavors, not 12 ingredients packed in a bite. Fun because I had the opportunity to taste his food again 2 days ago during my first epic loop around the Olympic Peninsula. Superb ingredients treated with simplicity and respect, just the way I love it. And with this also epic sunset as background. Lucky me. 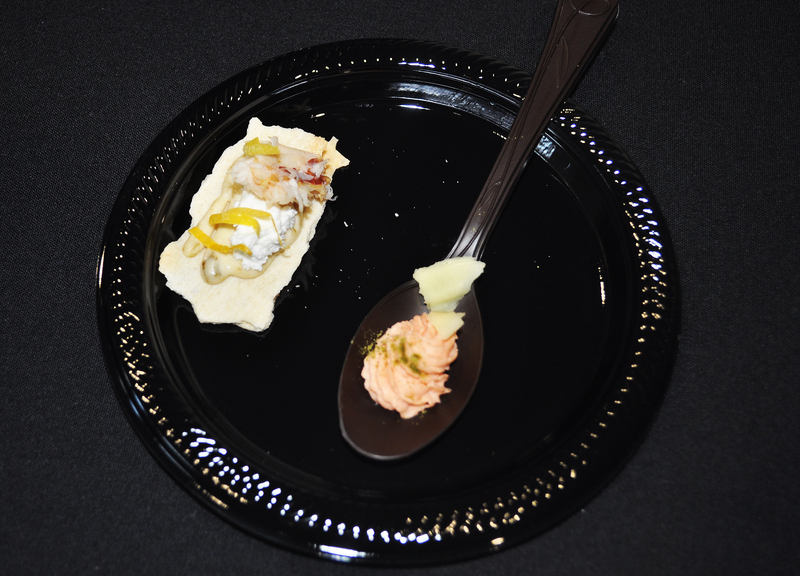 Writing about a massive food event like Seattle Food and Wine Experience is always tricky. 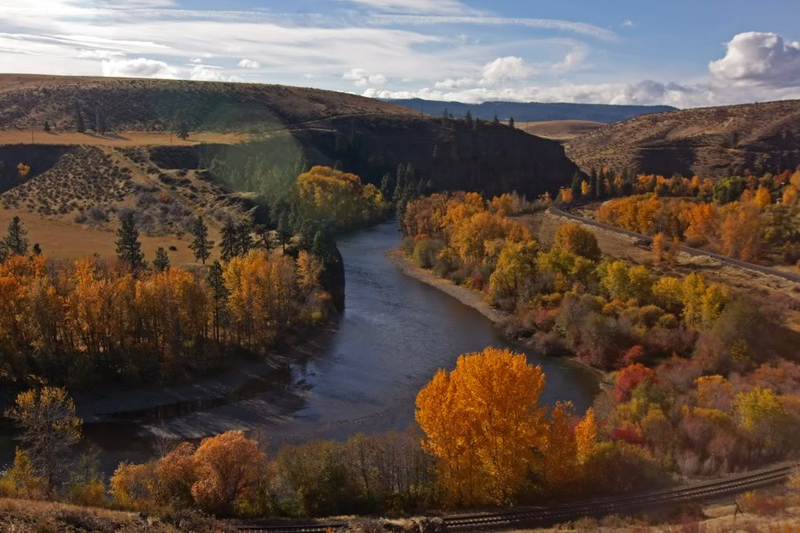 It´s like trying to describe a complicated puzzle piece by piece to the eyes that never had the opportunity to taste, smell and see all the bounty and the complexity that the Pacific NW (and our special guest, California) have to offer. You also know that your body and your mind have to physically endure a lot of food and alcohol offerings and you don´t really want to feel silly sick or terribly bloated after this. The idea is having fun not a post event nightmare. So my strategy is grabbing a first bite, usually It will be close to the entrance, jambalaya in this occasion, and a glass of sparkling water and go for a first quick tour all around the place to see and prioritize your favorite pit stops. I was particularly interested in the American Lamb Board´s Brews and Ewes Experience but I wanted something lighter at the beginning so I dropped by Chinoise restaurant booth. Unluckily the Bibimbap that gave chef Thoa Nguyen the victory against Bobby Flay in the Food Network show had ran out but the poke salad was really good too… A bit too much spicy for my Occidental taste though. So I needed a glass of wine to rinse my palate. White if possible. Chateau Saint Michelle Riesling was a really interesting option. Loved again the classic, everyone´s favorite, the dry one but Eroica brand was quite an interesting discovery for me a bit more fruity but not overpowering. Both good options not only to enjoy as a drink but to steam clams and mussels, two of my favorite seafood dishes. Just landed in lamb´s territory I grabbed one of the winning bites of the day, the smoked lamb meatballs from Gavin Stephenson, chef from The Georgian at the Fairmont Olympic hotel. Cute tiny little pots were used to highlight the hearty spirit of the dish and the potatoes were simply awesome. I felt more disappointed with the cold and not so appealing sticky rice cake from Frolik. 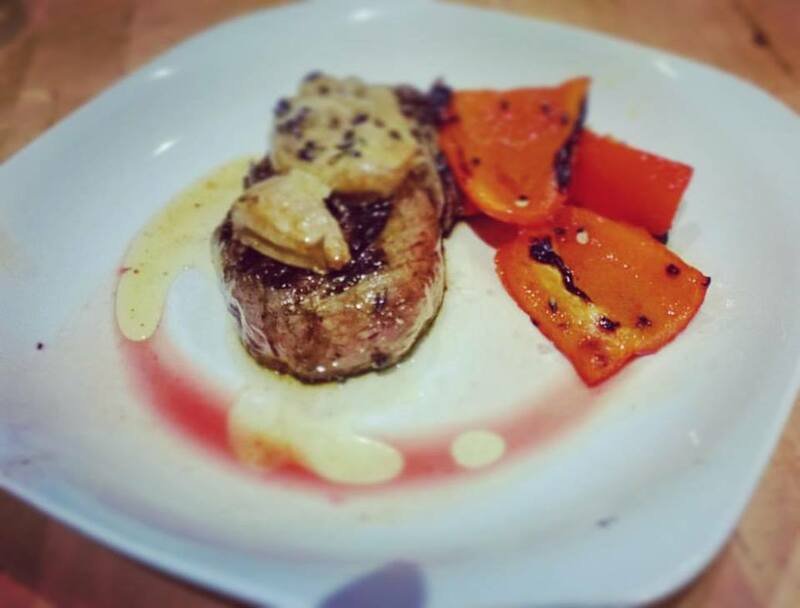 Lamb plays better with a more traditional simple approach as its flavor is strong enough. So interesting the info displayed by the American Lamb Board about recipes, pairing and cooking techniques that you can find also in their web. Talking about funky unexpected meats… meats that we love to cook in Spain I was so lucky to bump into Nicky Farms based in Portland. This company, created to support small ranchers in Oregon sell to retailers and restaurants delicacies as quail, goat, rabbit and venison. I had the opportunity to enjoy a really goat mortadella prepared by chef Seth Fenald from Lark and to have a fun experience exchanging with them my tips as a Spanish cook. Talking about more meat I had the opportunity to taste dirty rice with pulled pork for the first time from Davids & co a small American restaurant located in Benarroya Hall and It was pretty nice too. The truth is that the pattern of not so much fish at all and this will be mainly salmon was played yesterday too. It´s a bit disappointing that a place like Seattle who is at the sea doesn´t take full advantage of this location to enjoy even more the gifts of the sea. Time for more drinks… chosen carefully and sipped frugally. Fun the honey beverages from Nectar Creek in Corvallis (Oregon), interesting my first Pinot Noir from Willamette Valley Vineyards, although I´m a girl of Grenache and Syrah, really happy with Jet Black Syrah 2014 from Alexandria Nicole Cellars who will be released this summer. Close to zero the Spanish wines representation at the event. Only Bodegas Torres 2014 5G Garnacha paired with Iberico cured ham… A hidden gem that I hope any foodie didn´t miss. I wouldn´t to finish my SWFE chronicle without featuring the small entrepreneurs and artisans that work so hard to fulfill their dreams and to give us amazing food or condiments. It´s always so fun to talk with them and to learn from their experience and their journey. 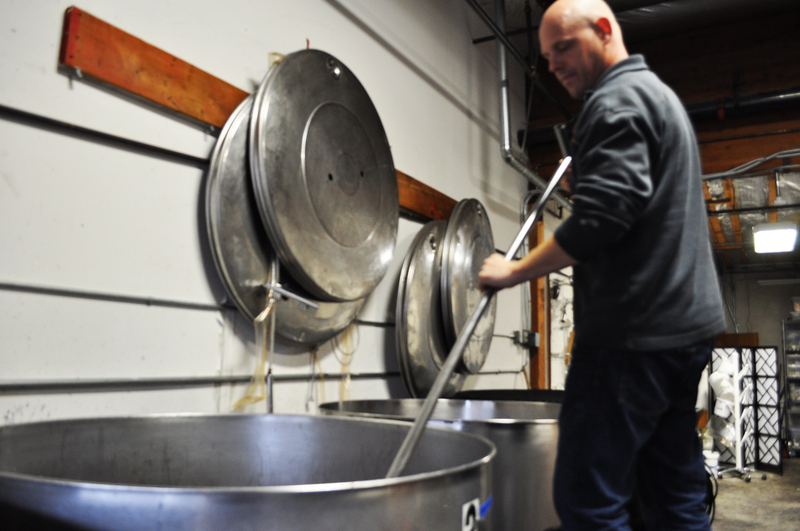 Sportsmen´s cannery, Rusty´s cheesecake, Forte chocolates, Copperworks Distillery are only a few of them. Special mention for Alaska Pure Sea Salt and Co from Sitka (Alaska) who worked for 5 years to find the perfect flake salt, the salt that I call Maldon. A bunch of dreams, goals and experience under the same roof for a few hours. This is Seattle Wine and Food Experience. 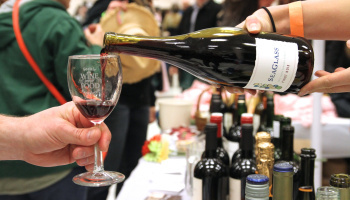 As a final kick to Seattle´s so boring gloomy winter before beautiful spring this weekend arrives Seattle Wine and food experience will be a beatiful oxygen pump to Northwest foodies. More than 200 vendors including chefs, wine experts and cider and brew masters will help locals and visitors to enjoy and appreciate all of these food blessings that are in our backyard. Lamb will be highlighted this year, something that makes this Spanish girl really happy as It´s the star protein in my homeland region, Aragon. So eager to taste our local chefs creations. Lamb is a powerful tricky meat. Properly cooked makes a sublime experience, poorly cooked or seasoned can taste too strong or earthy in your palate. Other more unusual types of meat will be played too by chef Jonathan Sundstrom from Lark, recently nominated as Outstanding restaurant semifinalist in the James Beard Awards and Seth Fenald from Novelty Hill/Januik wineries. Culinary pilmigrage will be showcased here thanks to the Northwest Travel Experience too and wine, more wine, tastings courtesy of Yakima Valley Tourism. Like the cherry on top back by popular demand: Chateau Saint Michelle Riesling Challenge. But other cocktails will be present too thanks to the magic of Dustin Haarstad, founder of Blind Tiger cocktails and mixologist at Cannon Whiskey & Bitters Emporium. Guest will have the opportunity to enjoy them in the Celebrity Cruises Modern Luxury Lounge. Last but not least a new chefs competition kicks off, Pop! Bubbles and Seafood where local chefs and sommeliers like Thierry Rautureau from Loulay and Lindsay-Thorsen from RN47 will showcase their culinary artistry. Oysters lovers will have the opportunity to chat with local expert Cynthia Nims too. Cynthia just published her new book Oysters, recipes than bring home a taste from the sea. Unfortunately for my kid who loves food and wants to be a chef this is a 21-year over event so come prepared with your ID and maybe in a taxi or Uber ride just in case you want to party 100%. 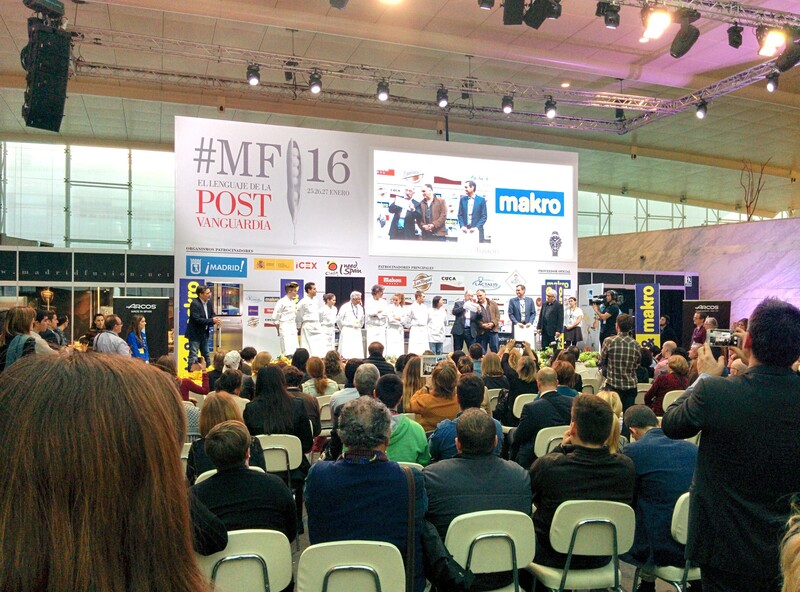 The best world chefs have gathered these days in Madrid at the International Gastronomy Summit Madrid Fusion. The Yummy Bull did not want to miss this opportunity to see firsthand what is “being cooked” in the kitchen of the best international chefs. A unique and essential experience. Under the slogan The Language of Post Vanguardia the attendants enjoyed the knowledge of chefs as relevant Grant Achatz, Joan Roca, Jose Andres, Sergi Arola, Elena Arzak, Oriol Balaguer, Martin Berasategui, Dani Garcia, Chele González, Sacha Hormaechea, Daniel Humm, Tatsuo Nishizawa, Paco Roncero, Pepe Solla, Dabiz Muñoz and some others. This post-avant-garde moment, as defined by José Carlos Capel, president of Madrid Fusion, relocates his eye on tradition, on the product and even in culinary techniques inherited from our ancestors. 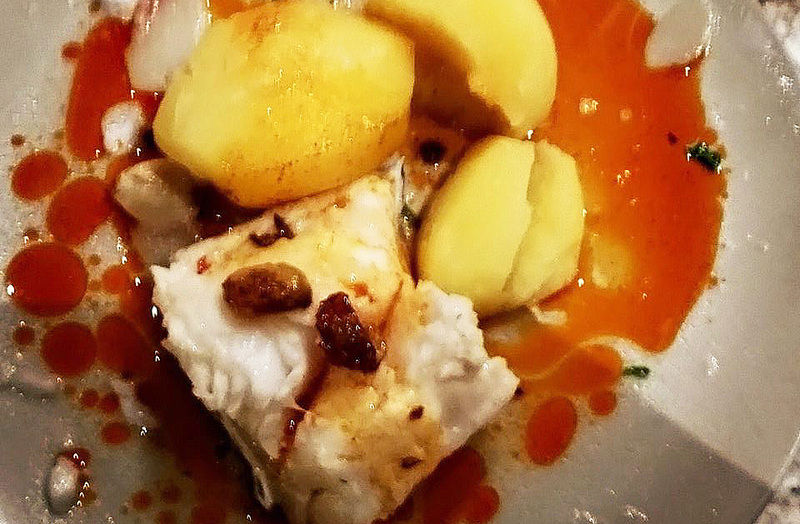 Chefs like Paco Morales have chosen Andalusian cuisine to adapt it to contemporary cuisine. Other Ibero-American chefs have done the same with ancient techniques of pre-Hispanic indigenous tribes. “That which is called vanguard and tradition,” said Joan Roca (El Celler de Can Roca, Best restaurant in the world), is that “we have moved to committed to a healthy, sustainable and humane cuisine “. In this commitment to the product, our seas have much to say as by proved Angel Leon (Aponiente, Two Stars Michelin). His cuisine brings together the plankton, outbreaks of vegetables grown in salt water, the first vegetable oil obtained from the sea, the sugars obtained from freeze-dried algae and, of course, all kinds of fish, with a firm commitment to the so-called fish discard. “We live in an untenable situation in which fish 90,000 tonnes of fish, 40,000 are discarded. We have to change the mentality of those who just want to eat normal commercial species. The sea has much more to offer, “he said. Its Aponiente has moved to a lumber mill where they have a surface of 2,700f2 exclusively to clean fish. 42 people work in the kitchen with these fish discards to create amazing dishes like sea sausages. 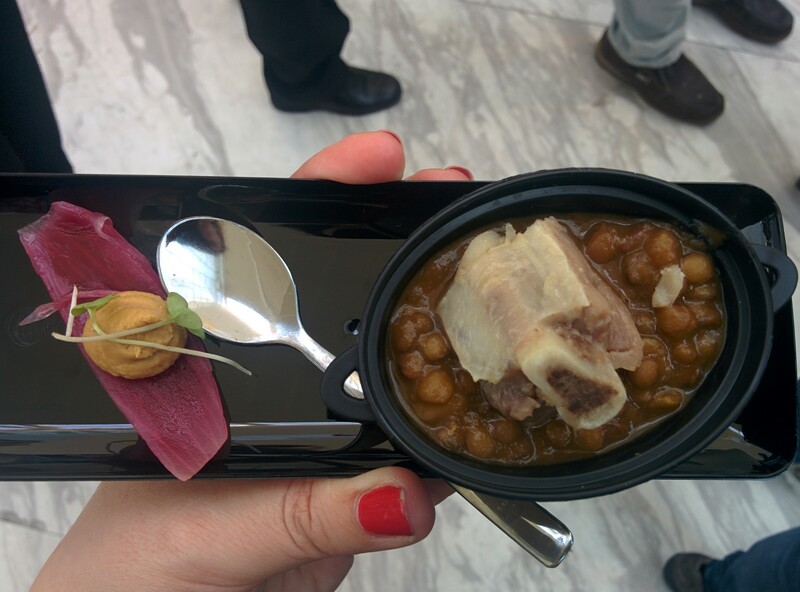 One of the highlights in this edition of Madrid Fusion has been Taste Spain, starring a space of eleven domestic destinations: Ruta de la Tapa, a tour of the Spanish cuisine in “small bites” as Segovia lamb stew, stuffed shrimp and sea urchin Cambrils red shrimp, lentils DOP Lanzarote, Canarian black pig cooked and boiled shrimp in sea water or oysters from la Rapita, all accompanied by the best national wines, as Malaparte, Segovia cellar of the same name. In Enofusión space where we could attend a wide variety of prestigious tastings, technical conferences and tasting spaces, besides knowing all the news of the great wineries and brands from Spain. This year, for the first time we could find speedtasting, an original way to taste the wines based on the speed dating system, where the winemakers showcase in a few minutes wines to journalists and bloggers.